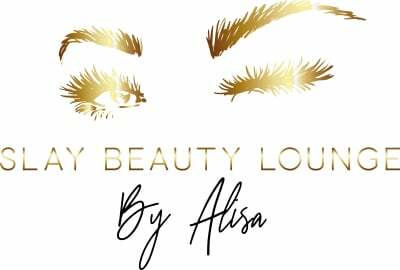 Slay Beauty Lounge provides professional, safe, and luxurious lash services. ​Our goal is to provide you the best quality service & experience! Our professionally licensed artists go through our extensive lash training to provide your services. we only apply appropriate sizes that your natural lashes can hold. She loves what she does, to be of service to others and to help them to feel good about themselves; it has become one of her passions. She started her own business at the age of 23 ​& believes that self-care is your greatest and grandest responsibility. Originally from Honolulu, Hawaii, Alisa (pronoused UH-LEE-SAH) first started her lash career in 2013, which allowed her to pay her way through school independently. After graduating from the University Of Washington with her B.A. in Society, Ethics & Behavior, she was moved from Seattle to Santa Monica, CA in 2015 by her employer to provide her professional lash/beauty services. She furthered her studies on trauma, addiction, and mental health and received her Drug & Alcohol Abuse Counseling Certification through UCLA Extension. She is currently admitted to Columbia University's Clinical Psychology- Spirituality, Mind & Body Program to receive her M.A. to learn how to help individuals and children who come from addiction/dysfunctional family backgrounds to promote resilience and overall wellness of the mind, body, and spirit. We Care About Our Clients & Always Love Client Feedback! Please allow 24-48 hours from the time of contact to get a response. Thank you. Make sure to LIKE & FOLLOW us for more lash updates!